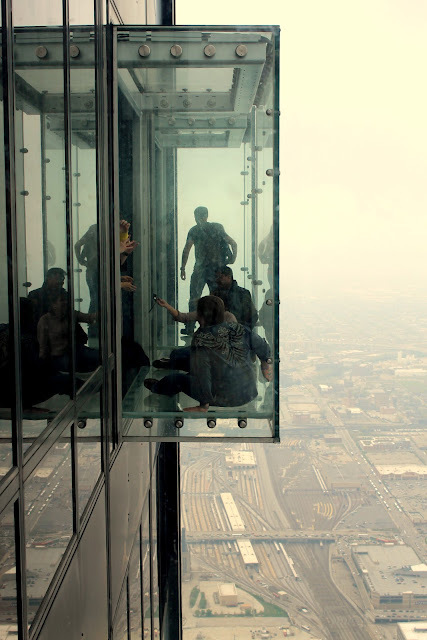 I'll probably pee my pants when I step out on the glass ledge but that would make such a memorable moment! I have to admit, I'd never have the patience to stand in line that long so I'd definitely plan to visit first thing in the morning. 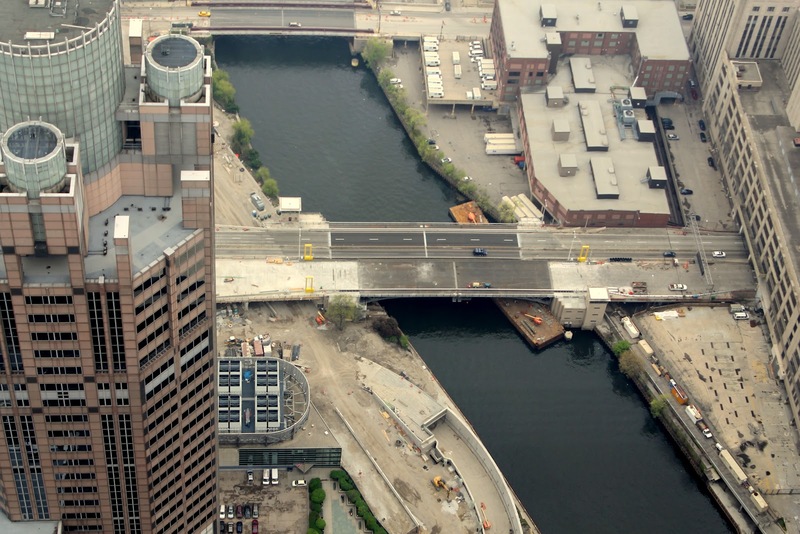 I LOVE the Citypass! We used one in NYC and it saved money and wait times. It can just never be the Willis Tower for me. It's the Sears Tower People! I'm glad you had a good time after waiting in line for so long. We went last summer when we were in Chicago. It wasnt part of our plan; we went there last minute. We went about 4:30 on a Thursday adn didnt have to wait much at all. My 3 yo didnt think much of it but my 7 yo loved it. 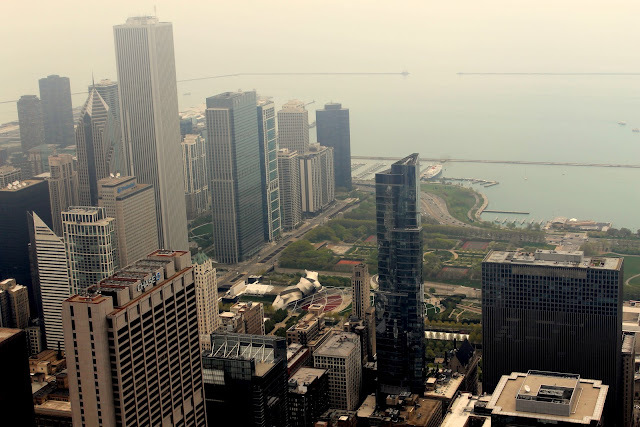 I visited the Sears Tower years ago on a business trip. It was a foggy day, but I went up anyway so I could say I did. I saw nothing, but it wasn't crowded. 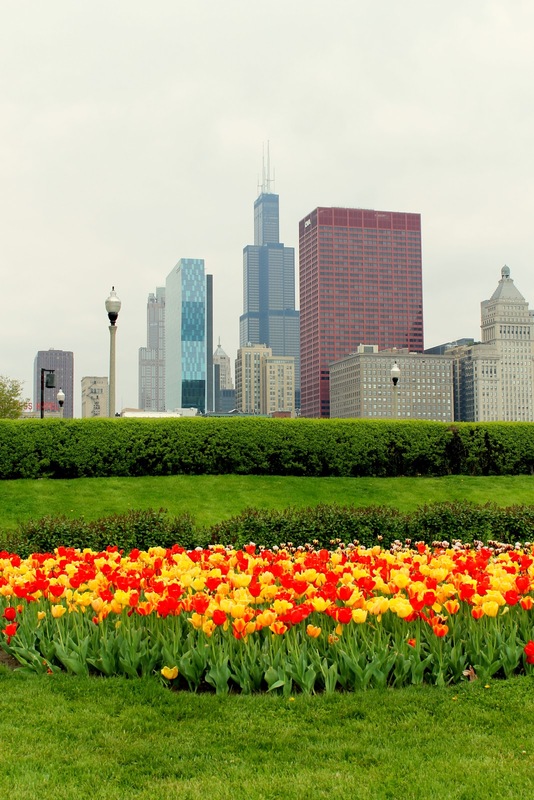 That was my last visit to Chicago, but I'd love to return with my kids and do it right. Same rules could definitely apply to the Empire State Building and Seattle Space Needle. I love everyone of your tips. Because as you know you are my your kids are my kids Indiana twins ;-) High heights, great views on a clear day (why would you go to the top of the Space Needle when it is stuck in a cloud) and the possibility of long lines always make an interesting adventure for the under 3 crowd. 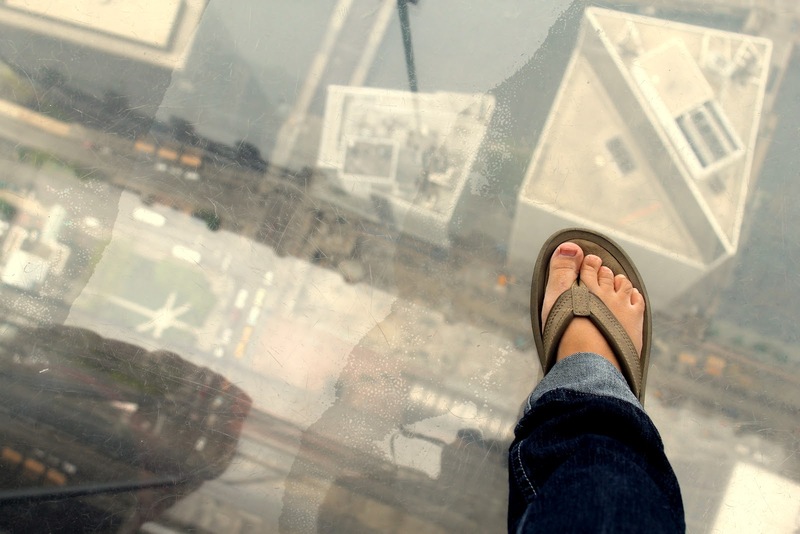 OMG; the photo looking down past your flip flop just gave me chills. I really don't think I could do it! I'm so glad you wrote about it for us on "Go BIG or Go Home!"